Sense Of Place Asheville: River Arts District : World Cafe Take a tour of Asheville's creative hub and hear how local artists respond to a changing community. 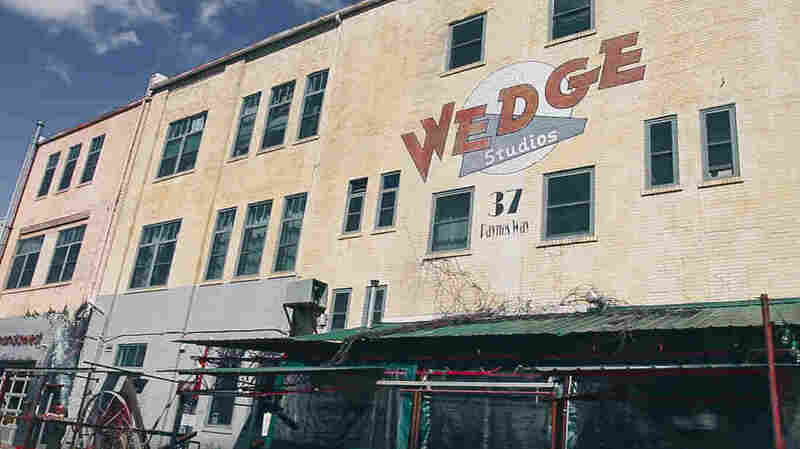 Wedge Studios in the River Arts District of Asheville, N.C.
Craftspeople and artists look to Asheville, N.C., as a center of creativity and make up a big part of the area's identity. They've flocked to the city's River Arts District, which houses several art studios and has become a destination for visitors. Take a tour with Josh Copus, a longtime area resident and founder of the Clayspace Co-op, as he comments on the forces bringing change to the River Arts District and describes how the community has responded.